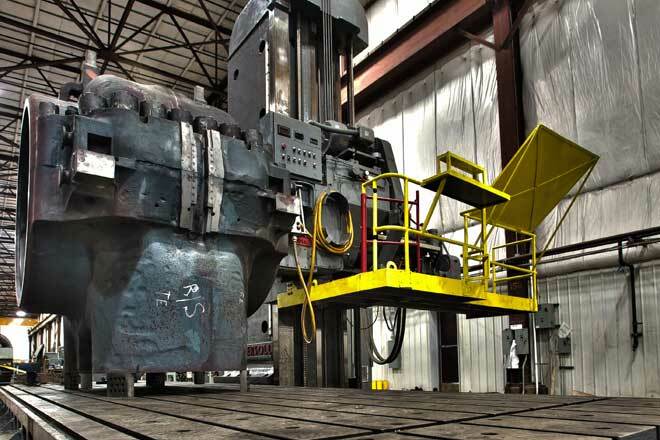 MD&A offers an outstanding array of field machining services and steampath repair equipment for use on-site. 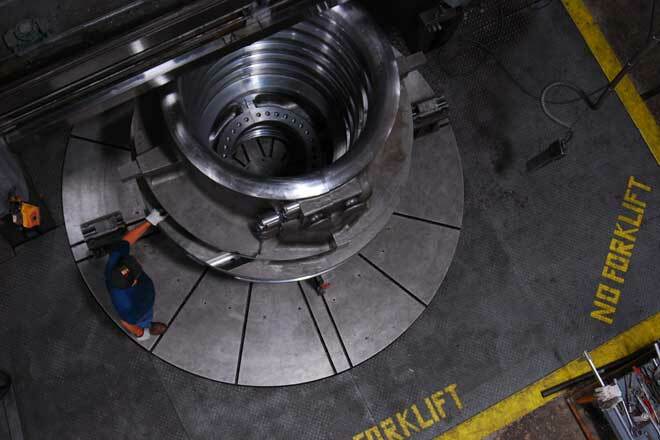 Our machining capabilities include the ability to on-site or in-shop repair horizontal joints on turbine casings, damaged valves, rotors and nearly any rotating or stationary turbine-generator component. 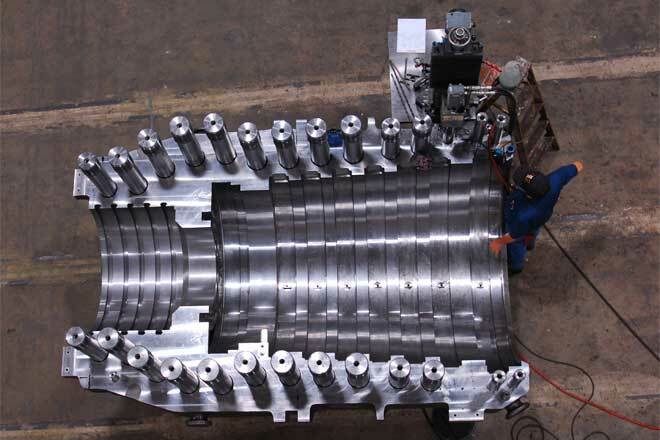 We can address nearly any machining project within our 170,000 square foot Turbine-Generator Repair Facility, located in St. Louis, MO. Our machinists are well trained, seasoned professinals with in-depth knowledge of many of the strict tolerances, procedures and specifications required to complete each repair.